Size of this preview: 754 × 600 pixels. Other resolutions: 302 × 240 pixels | 1,408 × 1,120 pixels. 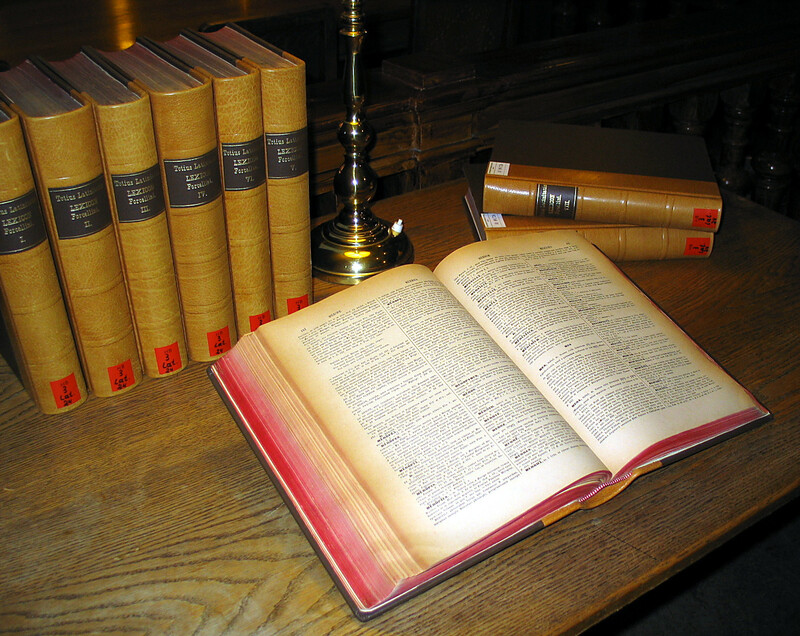 Description: A multi-volume Latin dictionary, the Totius Latinitatis Lexicon by Egidio Forcellini (first published in 1771, this is a revised 1858–87 edition), on a table in the main reading room of the University Library of Graz. This page was last modified on 7 September 2017, at 06:38.